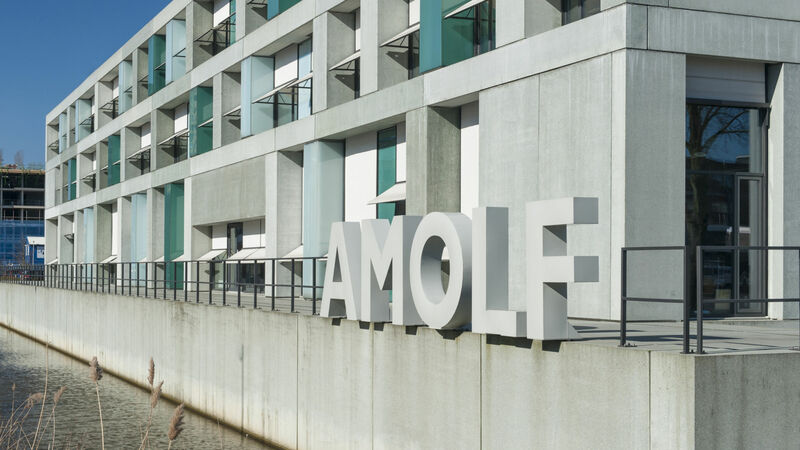 Bela Mulder heads the Theory of Biomolecular Matter group at AMOLF. He also has a part time affiliation with Wageningen University where he holds the chair of Theoretical Cell Physics in the Laboratory of Plant Cell Biology. Mulder received his MSc in Theoretical Physics from Utrecht University in 1981, where he also earned his PhD in 1986 with a thesis entitled “On the Theory of Hard Convex Particle Fluids” supervised by Daan Frenkel and Theo W. Ruijgrok. After a brief stay at the Institute for Physical- and Colloid Chemistry in Utrecht, he moved to the Institute for Materials of the NCRPS “Demokritos” in Athens, where he worked on the theory of disordered magnets. In 1992 he returned to the Netherlands, starting a group called Theory of Complex Fluids at AMOLF. From the middle of the 1990’s he gradually shifted his research interests in the direction of cellular biophysics. He became a staff member at AMOLf in 1997 and renamed his group Theory of Biomolecular Matter. In 2001 he was appointed Adjunct Full Professor of Theoretical Cell Physics at Wageningen University.